This statistic shows the consumption of energy from waste in the U.S. industrial sector between 2006 and 2017. 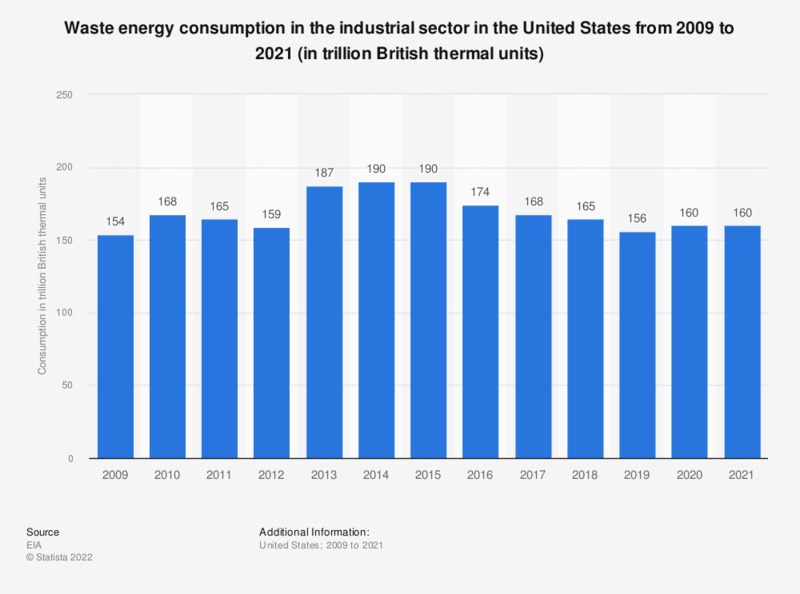 In 2017, the U.S. industrial sector consumed about 165 trillion British thermal units of energy derived from waste. * According to the source, waste is municipal solid waste from biogenic sources, landfill gas, sludge waste, agricultural byproducts, and other biomass.